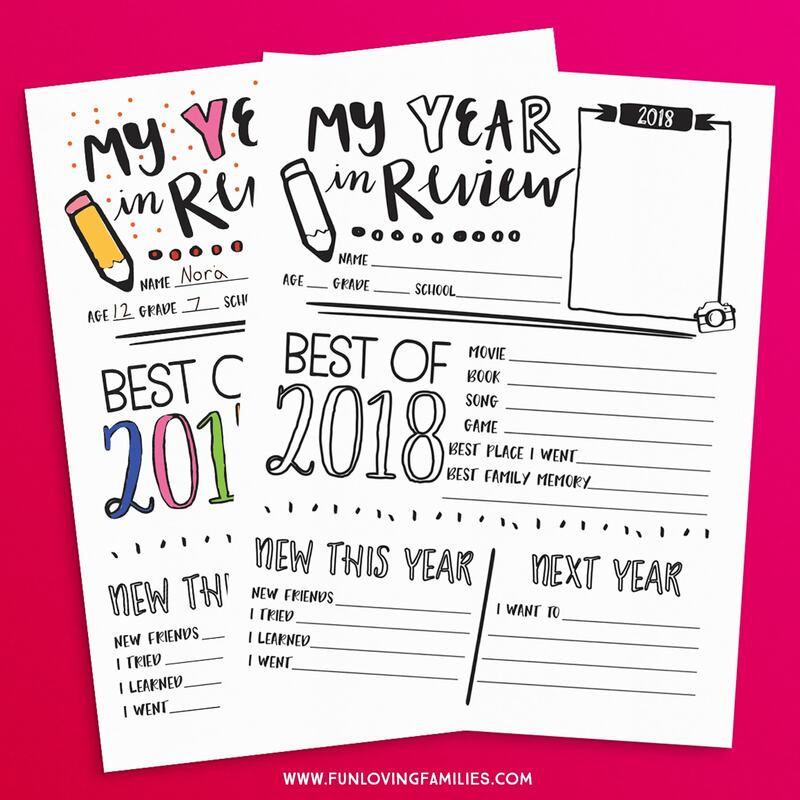 (Updated) Use this year in review printable template to help your kids reflect on 2018. These are keepsakes to treasure for years and kids love looking back on them when they’re older. Friends, it’s almost December. Can you believe another year is already almost over? The days fly by so fast and sometimes it’s easy to forget everything that has gone on over the year. We like to go through pictures on our phones and computers to help us remember. In fact, looking back on the year is a great idea for spending time together on New Year’s Eve when you’re waiting for the clock to tick down. 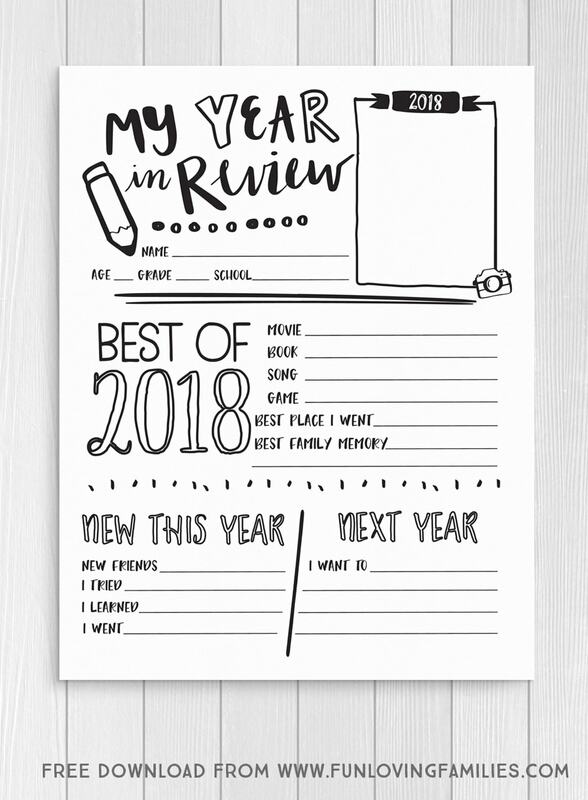 This year, print out this Year in Review Printable and have everyone fill out their info. Then, share what everyone wrote and enjoy remembering together. Kids can color in around the page and draw in their own self-portraits in the photo box. Or, choose a favorite photo from the year and glue it on! 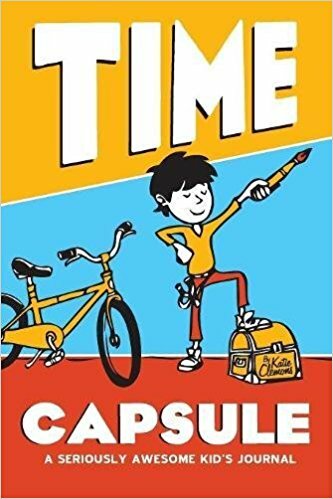 Be sure to keep the finished pages someplace safe so you can look back on them years from now! We all know how fast these kids of ours are growing up, which is why taking a few minutes to preserve some memories is so important. 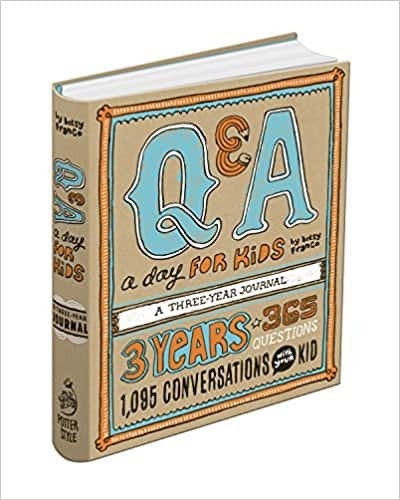 If you like the year in review printable as a keepsake, then you might also be interested in some of these kids journals. 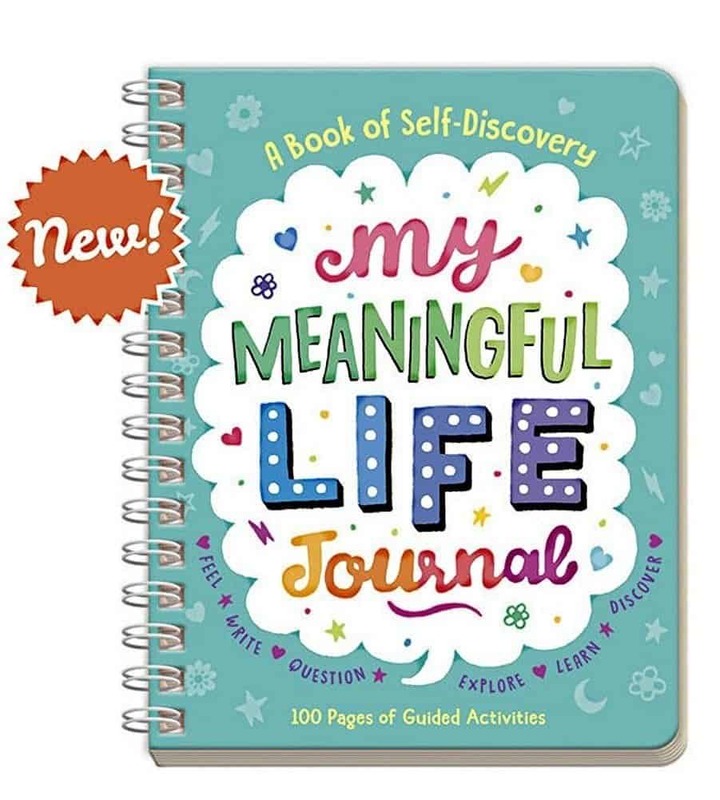 These are all wonderful journals with prompts and questions to help kids with self reflection. 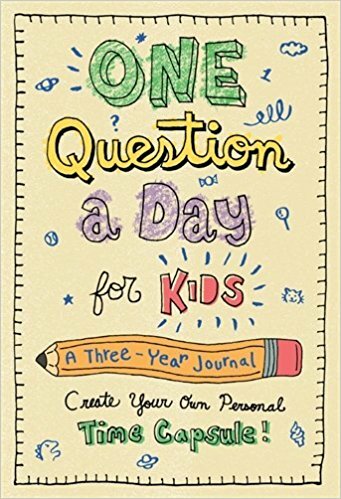 I also love that some of these journals have space for kids to illustrate their answers rather than trying to come up with words. This is so cute! We will definitely use this with our roommates. Thank you! 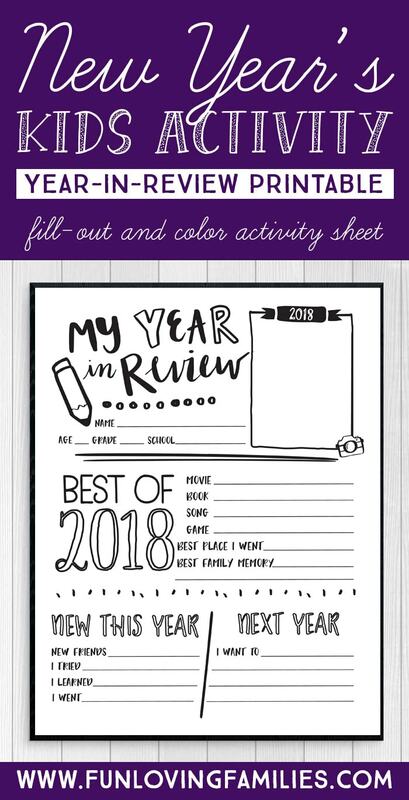 I print sheets off at the end of every year for my daughters to fill out and love these! They’re so fun to look back over and see their cute answers. Thanks, Rebekah! We’ll be doing these with our kids on New Year’s Eve and I’m looking forward to seeing what everyone has to say about the year. Did this last year! I had my daughter fill it out and color it. I copied it in color and sent it out with my Christmas cards. I got so many compliments on it and my family loved it! Thank you for updating it! It’s my pleasure, Katie! 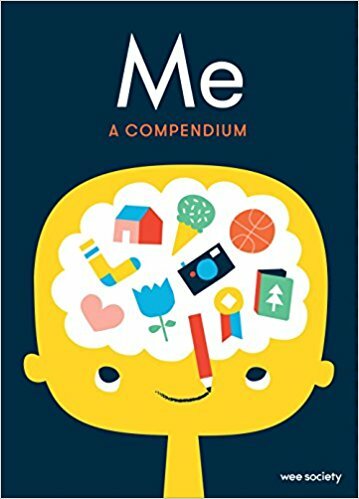 I love hearing how you shared it with your family…such a great idea! Any chance you’ll be making a 2019 sheet? Absolutely. I went ahead and added a link for the 2019 sheet if you want to print one off for next year.